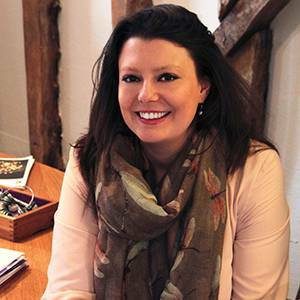 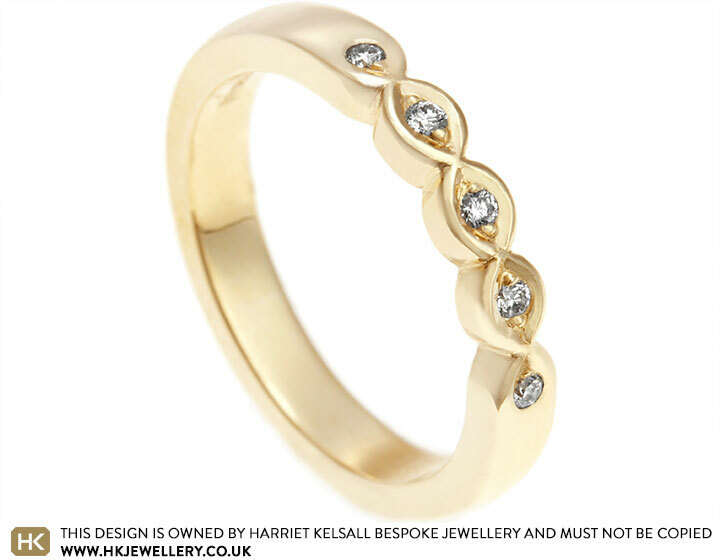 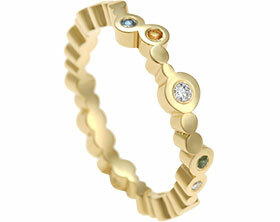 Handmade in Fairtrade 9 carat yellow gold, this unique eternity ring features five 1.5mm round brilliant cut G-H, VS1-2 diamonds. 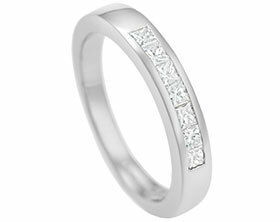 The diamonds have a total weight of 0.08ct and have been individually grain set within each marquise shape at the front of the band. 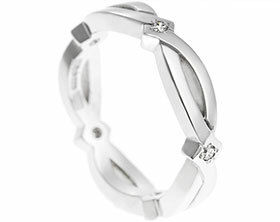 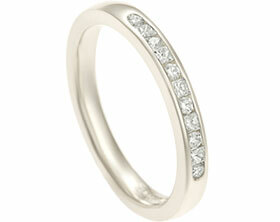 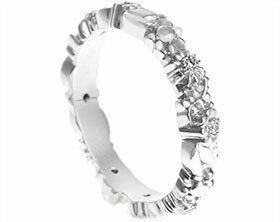 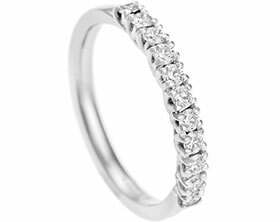 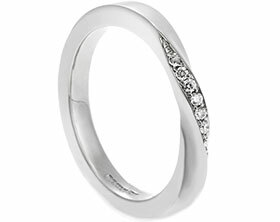 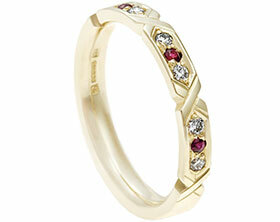 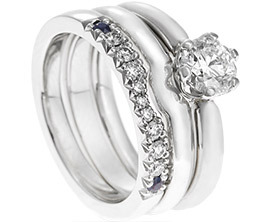 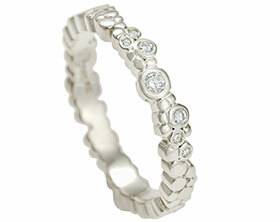 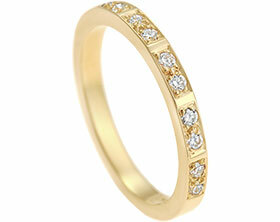 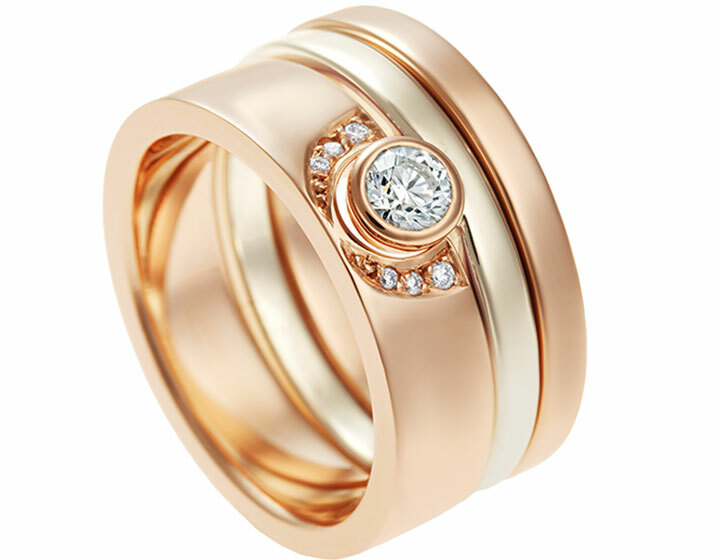 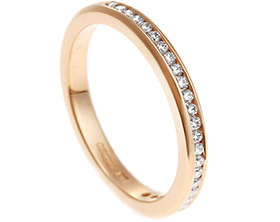 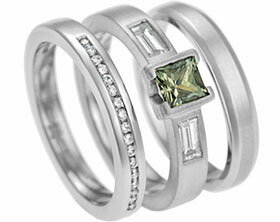 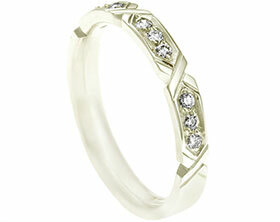 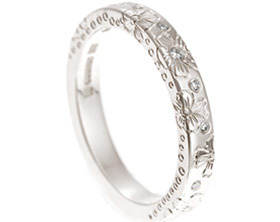 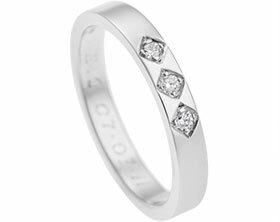 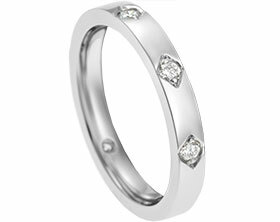 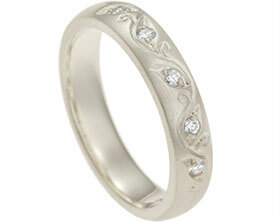 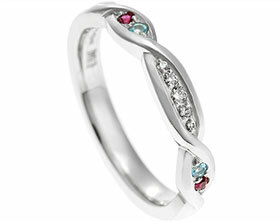 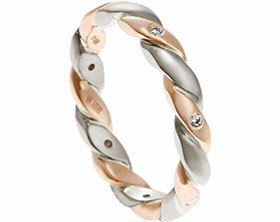 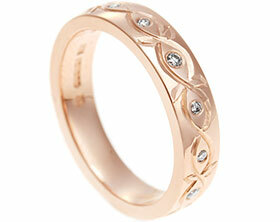 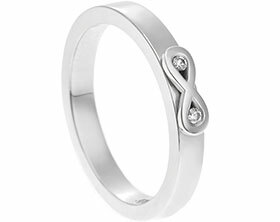 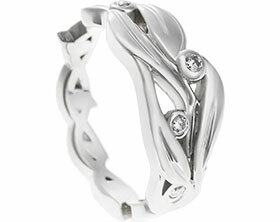 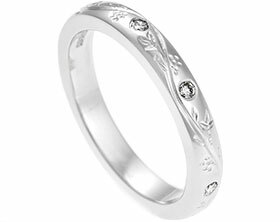 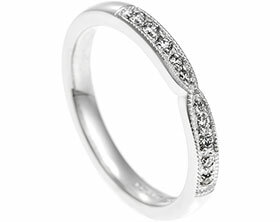 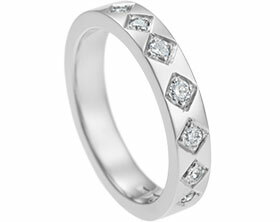 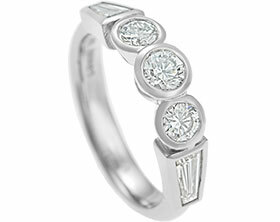 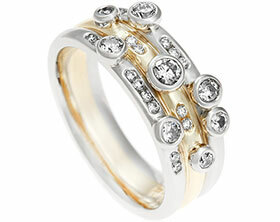 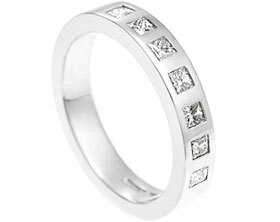 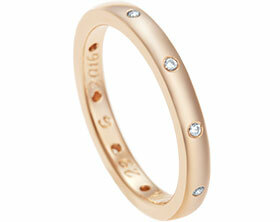 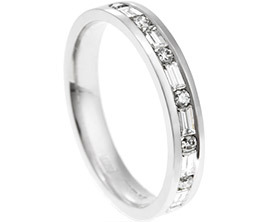 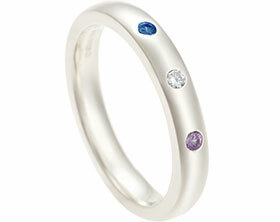 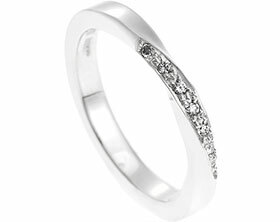 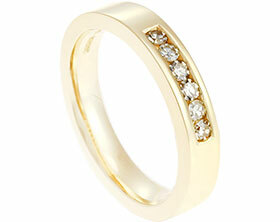 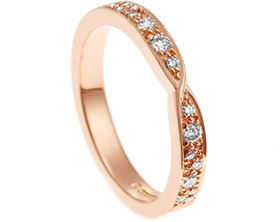 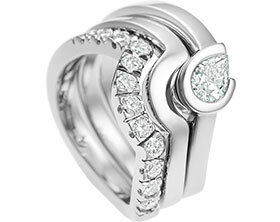 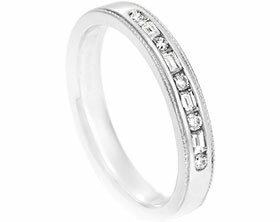 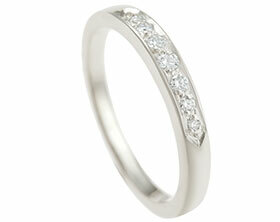 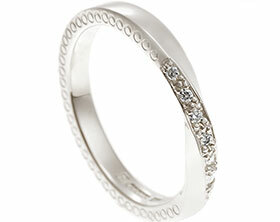 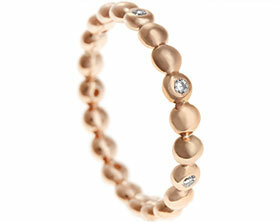 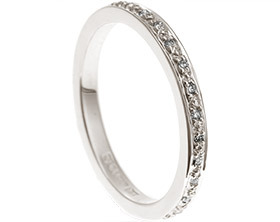 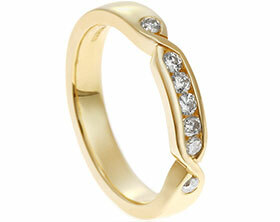 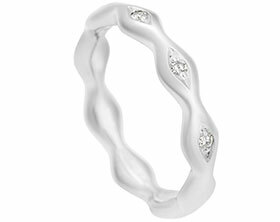 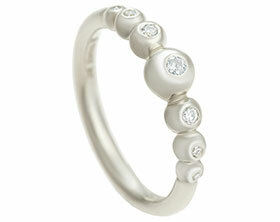 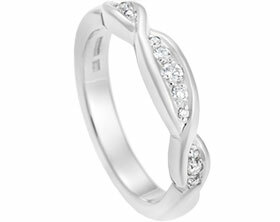 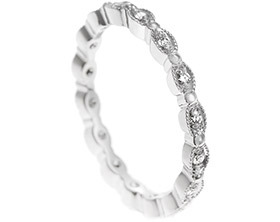 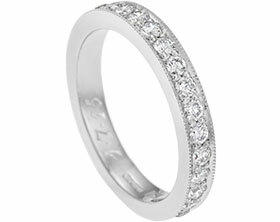 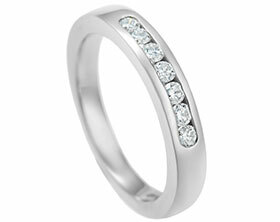 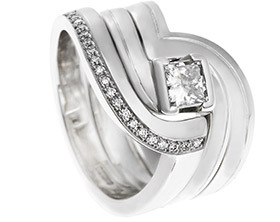 The 3mm wide band has been given a polished finish to enhance the sparkle of the diamonds. 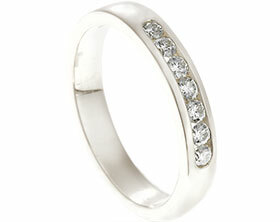 Size K 3/4 (approx US size 5 3/4). 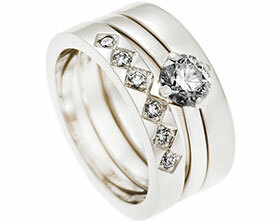 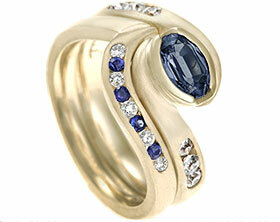 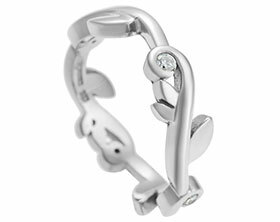 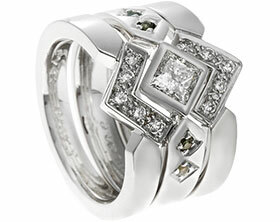 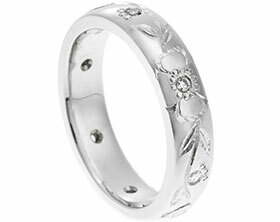 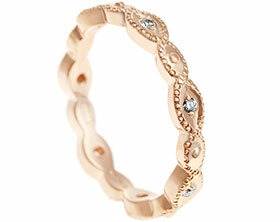 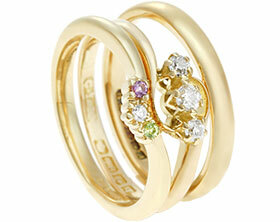 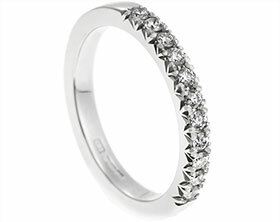 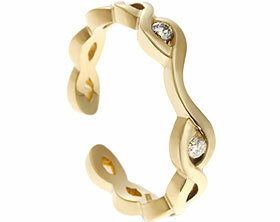 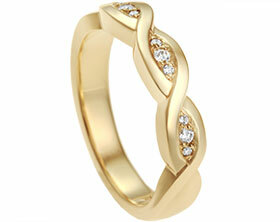 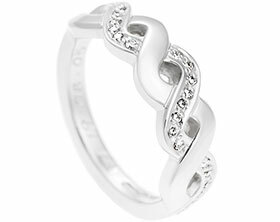 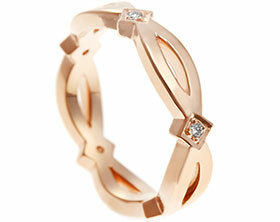 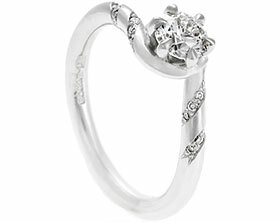 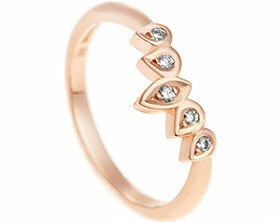 This ring can be resized within approx 1-2 sizes or please enquire if a further resize is required.